CL I am a person with strong passions about personal technology. I am always in wonder of (and am also sometimes deeply concerned about) the things technology can do for us, what technology can enable us to do. I grew up in what would be considered a poor family but my father always had good audio equipment. On his side of the family there is a professional Latin band that I performed with for a short period so music has always been a deep, deep part of my life. (My father and I were real buddies and when we’d go for a car ride we’d seriously consider the musical choices and spend more time listening than talking; we also made lots and lots of mixed tapes at home from favorite playlists with what strikes me now as a slightly unhealthy attention to detail.) Well, take this autobiographical note in addition to my passion for tech and you get, unsurprisingly, a love for audio equipment – I would fancy myself an audiophile save that to be one proper takes resources even a currently privileged person like myself does not quite have. Nevertheless, I recently decided to revisit vinyl as a media format. So far as audiophilia goes, this aspect has become viable for me and, as a good ‘intellectual’ I began doing research on everything from appropriate amps to turntables. I was especially interested in used turntables. I came across one of those lists common to the internet: “The X number of Y things you should know about”. In this case, the article was something like: “The 10 Best Used Turntables You Should Know About.” The Michell Focus One was somewhere in the middle of the list and the moment I saw it I scrambled to find one sold in the U.S (no luck). I was completely taken by its elegance and distinct design. It helped that it was noted as also being a high quality audio component. The essential point is that I chose this because it represents a number of interests close to my heart, as well as ambitions – and it does so with what I consider to be genuine beauty. You can spend thousands and thousands of dollars on brand new state of the art turntables – even if I had that kind of money, I’d find a way to acquire the much lower cost Michell machine just to have it in my living room. 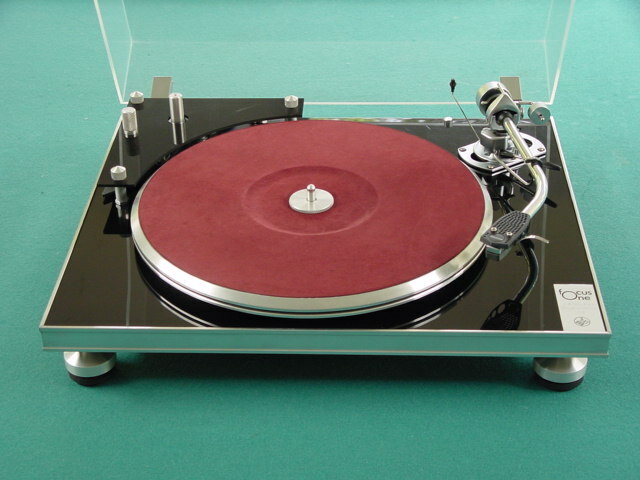 GB Do you know a lot about the Michell Engineering and their turntable innovations? Is the beauty mostly visual? CL My visual attraction to the Michell Focus One is what I would call spontaneous which is another reason I chose it. When you first invited to discuss an object I considered beautiful I gave serious consideration to a vehicle from either the Porsche or Range Rover brands. I decided against it for many reasons but mostly because it seemed too easy. I’ve been following these brands for more than twenty-five years so know something about their design language. In this sense, my attraction to these brands is studied and cultivated. By comparison, I know nothing about Michell Engineering. Thus, the beauty is mostly visual but not only that – for me, when I look at something like the Focus One, the visual beauty is valuable on its own merits but it also serves as a kind of heuristic for the kind of audio lifestyle I’d like to have. The Focus One evokes from within me a sense of style, class, and sophistication with a dash of playfulness. GB What would you like to be playing on it to complete the experience of beauty? CL If I could spend my day today setting up a Focus One (with a decent sound system to support [preferably a pair of Golden Ear Technology speakers wired to a nice Marantz receiver – another brand that makes beautiful things]) the very first album I’d throw on would be John Coltrane’s Giant Steps. The album has special value to me, as it was the first jazz album I heard when I was a budding jazz musician that made me say, “THAT is what I want to sound like.” The opening notes of the title track were a revelation to me; I hadn’t known that a tenor saxophone could be played like that – that it could be utilized (to my ears) as both a machine of great precision and unrelenting power as well as a paintbrush, lush and sensitive to its canvas! It’s interesting because the beauty of Coltrane’s playing is both technical and aesthetic – just like the Michell Focus One. GB Does the fact that you’ve chosen a turntable mean that you don’t like the direction that audio technology has taken recently – digital downloads etc.? CL This is a great question. I wouldn’t say that I don’t like the direction. My sense is that more people than ever are listening to music wherever they are. Recent technology has made that possible and I think that is a genuinely wonderful thing. What I do feel a bit sad about is that very few people know the cost of the convenience of digital music. We’re able to jam so much music onto our devices because of compression. Here’s a tech-for-dummies explanation of what compression does. Imagine a book and further imagine that every sixth word or so is deleted from that book. The result would be the following: a book printed on fewer pages and a possible but incomplete reading experience. You’d in all likelihood be able to fill in the blanks yourself and get through the book but it wouldn’t be the whole book. This is essentially what compression does to music. It cuts out a slice of sound at particular intervals. Our ears don’t perceive breaks in the music or ‘missing’ ranges but we’re also not getting the complete story as it were. Anyone who owns a decent pair of headphones should do the following experiment: find your favorite track and download it from iTunes (or whatever your preferred platform) and then listen to that same track on a cd (you don’t even need vinyl for this test). Odds are you will hear texture and even instrumentation you didn’t hear before from your compressed download. Like the vast majority of folks, I went in for music downloads so that I could carry as much music as possible wherever I went – at the time it seemed much better than walking everywhere with a bulky discman and a cd book; it also became easier as music stores collapsed in the face of digital distribution. But two things have happened. One is a general tech thing and that is that the price of storage has fallen, so space on a device or micro SD card is not as precious as it once was making loading lots of uncompressed music possible and [comparatively] affordable. The other is personal – I’ve gone back to buying cd’s and ripping them in the ALAC (Apple Lossless Audio Codec) format which is a way (but not the only way) of ripping cd’s with no compression at all, hence the sound is ‘lossless.’ I also use a portable DAC (digital-to-analog converter) connected to my phone to introduce an analog sound stage to the lossless music I transfer to my phone. All this is possible because of technology. However, I would be sad in another few years if people have more storage space but lose sight entirely of what cd or vinyl quality sound is like. This is one area maybe the hipsters will save us as they’ve made vinyl’s recent resurgence a very trendy and stylish thing – I’ll take wider awareness however I can get it. GB Do you think that it’s possible to make any generalisations about masculine and feminine and ideals of beauty. Would a car have seemed like a particularly masculine choice? CL I had many reasons for not submitting a car for this interview. One of them was not wanting to play into gender stereotypes (though I really really really think Range Rovers are beautiful). There are two possible sources for generalisations that can be made about masculine and feminine ideals of beauty. I am skeptical about the first and find the second regrettable. The first is this – evolution. I read recently that one reason men are attracted to women whose posteriors extend away from the waste has little to do with the posterior seeming larger but rather that from an evolutionary standpoint, that kind of body type is able to bear children with little stress to the hips so women are able to work more. From a historical point of view, this supposedly means that women could continue gathering while men hunted. I have no idea what to make of something like this. It doesn’t seem crazy yet I also don’t feel comfortable saying it’s probably true so I offer it here as a provocative point. The much more likely source for any gendered ideals comes from social construction of beauty – the phenomenon where people are socialized to prefer certain standards and features such as thinness, bustiness, broad shoulders. These are decisively political and result from a long history of heteronormative, white, male social, economic, and political hegemony in the ‘West.’ Naturally, then, this also extends to race where lighter skin is often preferred in our media as is straighter hair; when these two standards are disrupted its usually intentional for the purposes of adding exoticism. In any case, I don’t think there are any ‘natural’ gendered ideals of beauty. Now for a separate point your questions prompts me to consider. As I look at the Focus One it occurs to me that a very interesting aspect of its design is that it seems to embody something like dual (socially constructed) ideals of attractiveness. The turntable’s main body is square, sharp corners, and no-nonsense which might strike some as masculine. But the turntable’s arm is lush and curved, which might invoke in some a sense of the feminine. It would now be interesting to learn about Michell Engineering’s process in designing the Focus One. GB Can something man made like this surpass natural beauty? CL I’m not quite sure about how to approach this question. As I understand it, things like mountainscapes or the Northern Lights are presumed to be intrinsically beautiful on account of their being natural in contrast to something like the Focus One. Further, the question seems to ask to hierarchize the kinds of beauty based on the prior presumption. (Please pardon me here – this is the kind of thing we philosophers are in the bad habit of doing to make sure we’re answering a question properly). That said, I don’t know quite what it would mean for something man-made to surpass something natural in beauty. To my mind it really is a matter of what strikes one as such. I was raised in New York City surrounded by almost nothing save man-made wonders (skyscrapers, subways, graffiti) and the inevitable corrosion of these. Yet, when I walk the city I can reach a state of sublime aesthetic satisfaction that many would walking a marvelous hiking trail. Yet, I’d hesitate to ever suggest that one should consider my hometown more beautiful than Niagara Falls or a rainforest. CL I think I do. I’ve thought about this a lot. As a philosopher and theorist who works primarily on the morality of political life and race, I wonder, naturally, about the grounds for strong ‘ought’ claims – what people ought to do/think/believe/imagine. In the past few years I’ve come to realize that I am a philosophical pragmatist which really throws a wrench in things since pragmatism requires us to make steady judgments based on reasoned thought that are also flexible enough to accommodate an ever-changing world. Well, how does one not come unmoored if one does not think that at least some judgments are universal. If that is the case, then at least some judgments having to do with beauty are likely to be so as well. I can be very cynical but I’d hate to think that our wide appreciate for a stunning sunset is as constructed as are our standards of beauty in fashion, for example. But that’s really all I’m prepared to say on that. I tend to be more concerned whether the desire to indulge beauty is universal as compared to judgments about what is beautiful. It seems that that desire is universal even if it is misguided, immoral even at times. But we all seem to want to be impressed by the look of things – Steve Jobs understood this with remarkable clarity. Despite that such a desire can seduce us into making inadequate judgments about things that really matter, my own view is that that desire is something that makes us uniquely human and vulnerable as well as triumphant. CL If I look at something that both makes me smile and forget the rest of the world for even a moment then that thing, person, place, structure, device is beautiful, to me.